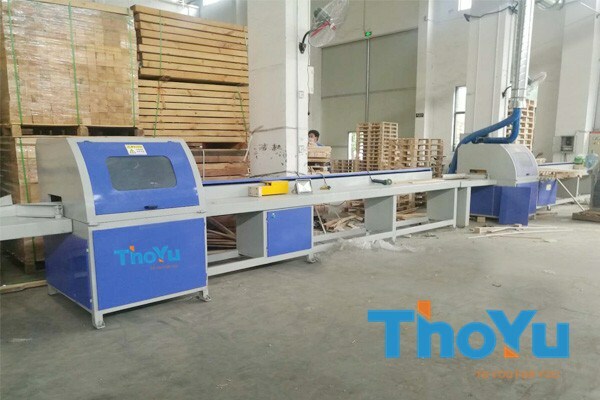 CNC wood saw machine is the computer program control wood cutting saw. 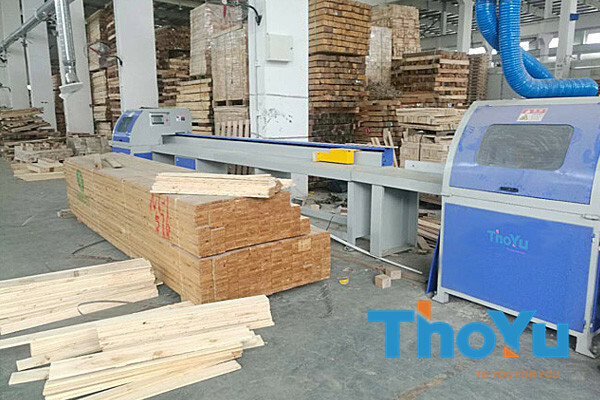 And it is mainly used for the blanking process of pallet panels, pallet blocks, and traditional wooden boxes. 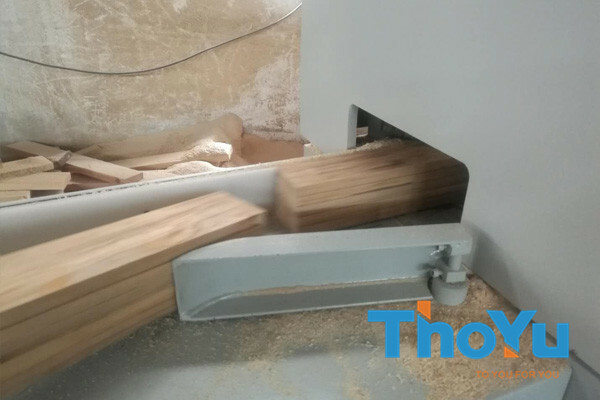 Besides, CNC wood cutting machine is also be used for the production of furniture components. 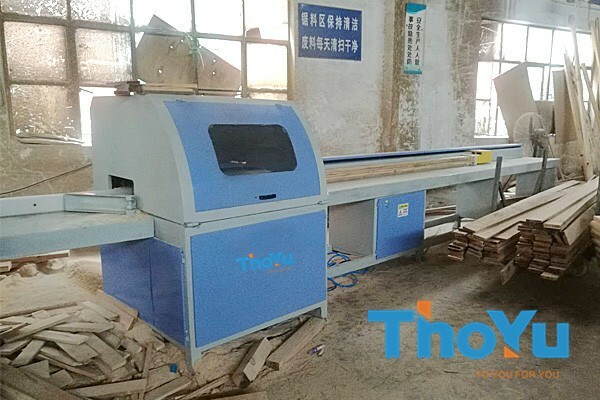 Compared with the ordinary cutting process, ThoYu electronic wood cutting saw has great advantages, such as wood batch standardized production, fully utilizing raw materials, reducing on-duty personnel, improving production efficiency, rational managing of personnel, and ensuring production safety. 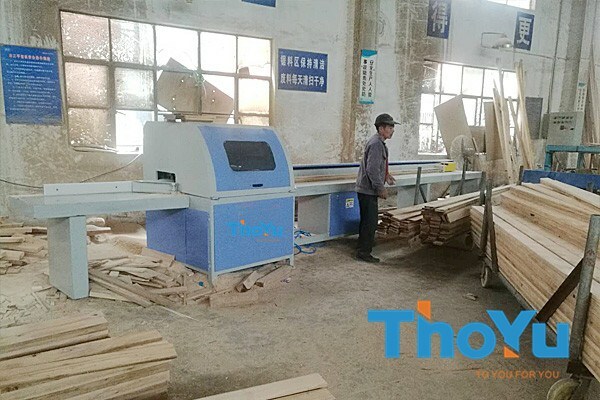 Therefore, CNC wood cutting saw can help you to save production costs, increase profits and gain generous returns. 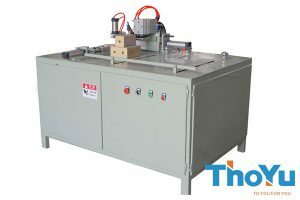 CNC wood cutting saw is controlled by computer program. The production line can be optimized into the best cutting plan, through reasonable calculation and length matching. 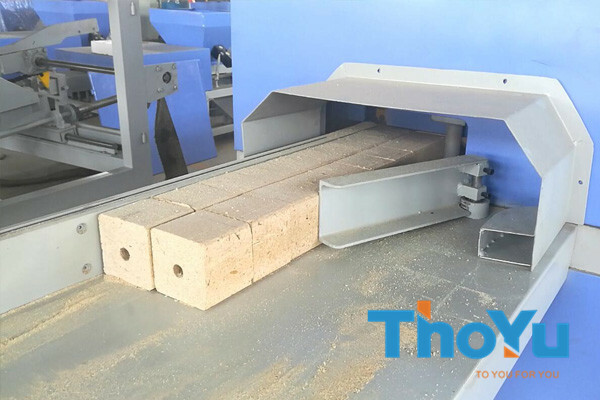 And it is cutting wood materials in transverse way, which can greatly increase the production efficiency and processing precision. 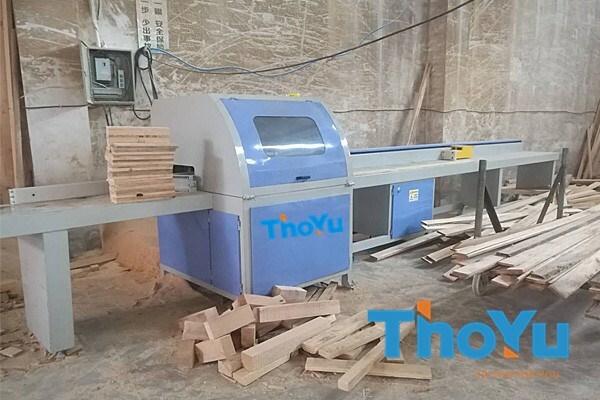 What’s more, wood electronic control saw also can replace manual or traditional machine in production so as to meet the factory mass production requirements. 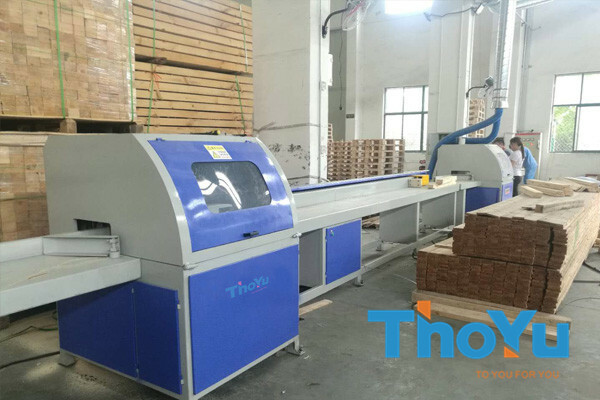 Thus, it can solve the problem of low efficiency, high precision error, and difficult management in the production process. 3. Equipping international high quality electric system. 5. Customized service is available. Mitsubishi industrial control, more stable performance. Low noise design, reducing the noise of the workshop. 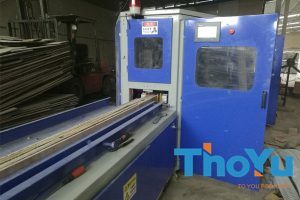 Free combination sawing dimensions to reduce production waste. The equipment is simple and flexible, and one worker can operate it. 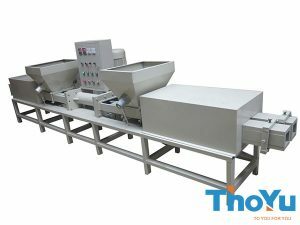 High rate of output, reducing the amount of cutting losses. Sawing pallet blocks rapidly; high precision. Safety: The worker’s finger does not touch the blade, reducing the worker’s injury during the whole operation process. Intelligent human-machine interface makes the operation extremely easy and efficient. And it also displays automatically that the abnormal information and troubleshooting instructions. 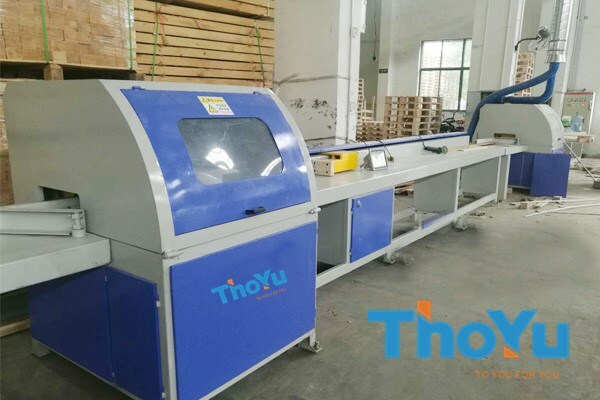 It also can set 5 sets of sawing parameters at a time, and automatic operation. 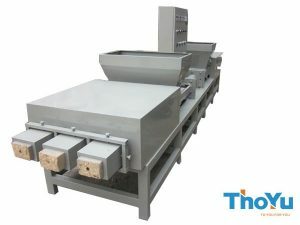 It adopts limit switch control and hydraulic automatic feeding.